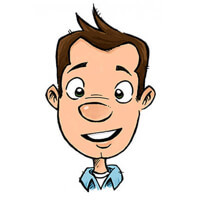 tl;dr:A use case for using macros in Google Tag Manager. I’ve been using Google Tag Manager for a number of months and have been thoroughly enjoying deploying tag changes on my sites instantly without having wait for a production deploy. Also, having the power to select what tags fire on what pages is a huge plus for me. It removes the need for development resources and gives me greater control in the delivery of my tags; all of which are delivered asynchronously. Pretty smart. 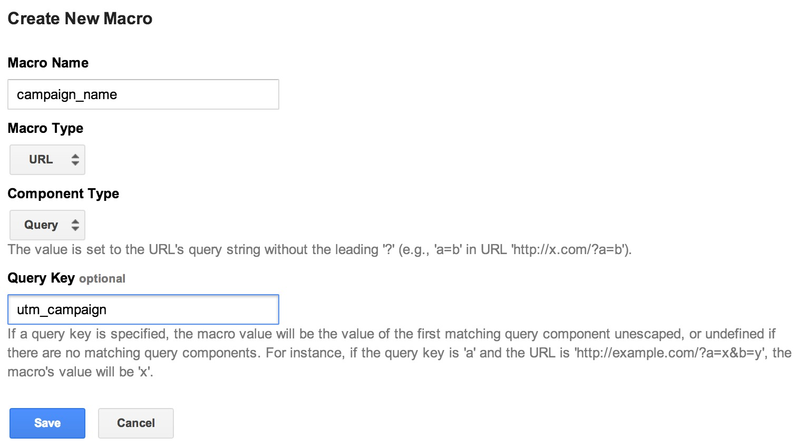 One tool available in Google Tag Manager, that I’ve found extremely useful recently, are macros. Macros can mean and be used in a lot of different ways and so, initially, I was a little confused as to how macros could be used in Google Tag Manager. Below is one of the many use cases that illustrates how you can use macros to minimize code on your site and deliver much greater functionality to your web applications. This macro value will now be available as a variable for code on any page where the parameter exists in the URL. Nifty. There are lots of other use cases that include passing these variables into other tracking services etc. The great thing about GTM is that it enables you to be creative with minimal development knowledge. Feel free to reach out via @robkellas if you have any questions.